Local employers, universities and chartered institutes have come together to inform students from QE about the wide variety of careers and courses available in the field of STEM (Science, Technology, Engineering and Maths) at the College’s annual STEM Fair. 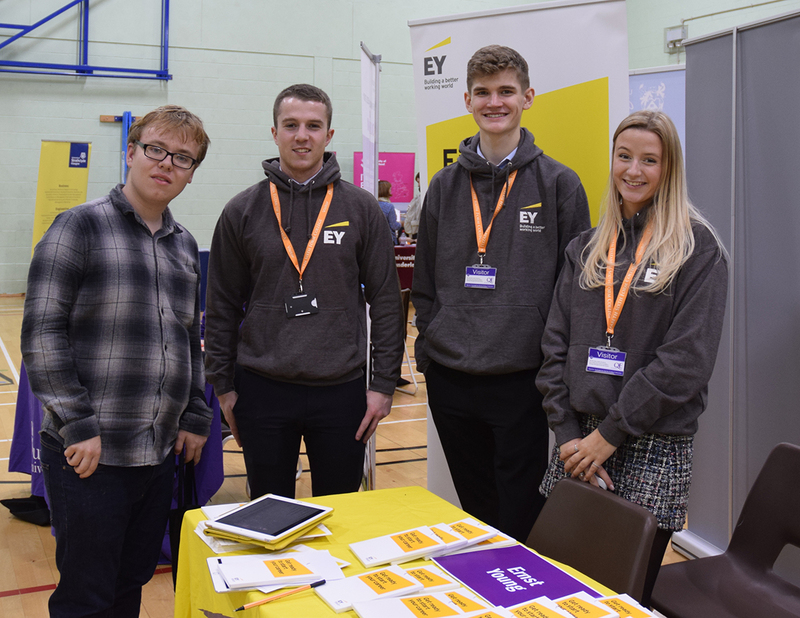 Both students and parents were invited to attend the event throughout the day and obtain important information about progression opportunities from industry experts. Attendees included Darlington-based engineering company Cummins, GlaxoSmithKline and several universities with whom the College has a long history of student success. There was also a visit from Hurworth School’s Year 10 pupils, encouraging them to start considering their future careers. Rebecca Earl, first year student at QE comments: ‘Attending the STEM Fair gave me the opportunity to speak with different companies and universities and gain a real insight into the world of STEM. I am hoping to study Chemistry at university and it was extremely useful to speak face-to-face with representatives to have all of my questions answered’. Alice Atkinson, Higher Education and Careers Advisers at QE concludes: ‘We are extremely grateful for the support and guidance given to our students by local businesses and training providers. Not only were STEM subjects promoted, but employers also highlighted the roles available in management, human resources and design. The event was a huge success’.